A year and a half after the United Kingdom voted to leave the European Union, the fates of the approximately 3 million EU nationals living in the country and 1 million UK nationals in the European Union remain uncertain. While a skeletal deal on rights for these mobile nationals was agreed to on December 8, certain specifics, especially regarding implementation of the deal, remain to be settled. The protracted nature of these discussions has created considerable anxiety among groups whose future right to reside in the countries where they have built lives is now in question, and points to legal, political, and administrative headaches further down the line. Once Brexit negotiations began in earnest in May 2017, the issue of citizens’ rights quickly emerged as one of three major areas—alongside the border between Ireland and Northern Ireland, and Britain’s outstanding financial dues—in which EU negotiators sought initial agreement before moving on to discussions of the future relationship between the United Kingdom and European Union. Concerns about the right of mobile nationals to live, work, and access benefits in their country of choice—both for Brits in EU Member States and EU nationals in the United Kingdom—have given rise to significant media coverage and online debate, as well as advocacy among business, civil society, and others. At the same time, interest groups have accused both sides of using the issue as a bargaining chip in negotiations. A joint statement on December 8 pointed to “sufficient progress” on all “big three” issues, paving the way for discussions to advance to the future EU-UK relationship. However, interest groups representing UK nationals in the European Union and EU nationals in Britain have rejected the deal, calling it a poor compromise. 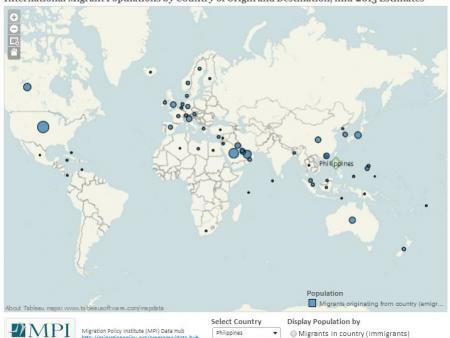 And the specifics of the deal remain to be discussed, leaving unclear what proportion of these populations will be able to stay in the countries they have made their home, and what rights they will retain. Perhaps most importantly, the issue of citizens’ rights remains pinned to the broader exit deal, meaning that “nothing is agreed until everything is agreed,” a mantra repeated by all negotiating parties. 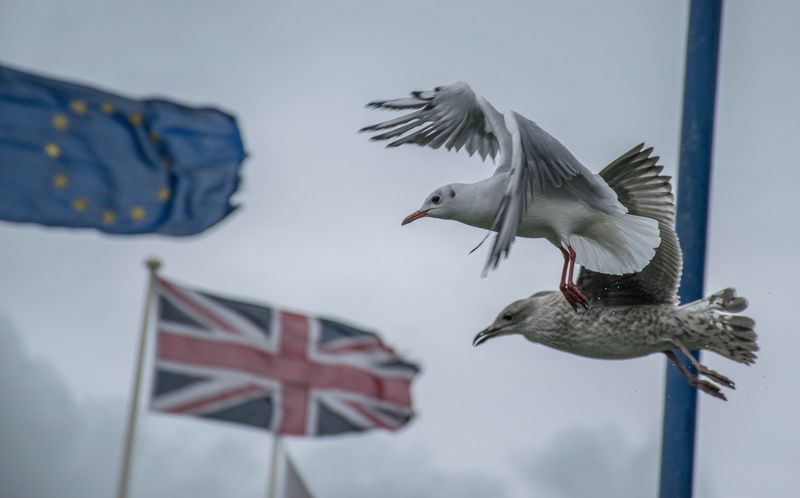 Negotiators have thus far bound together the situations facing UK nationals in the European Union and EU nationals in Britain, treating them as if they are equivalent. However, in practice there are important differences that partly explain why progress has been slow. One of the main points of contention is how any deal will be enshrined in law—and specifically, which law. For example, because the European Court of Justice (ECJ) will lose jurisdiction over the United Kingdom, EU negotiators are concerned that the United Kingdom could renege on any deal covered only by UK, and not EU, law. The compromise outlined in the December 8 deal requires UK courts to have “due regard” for relevant ECJ decisions for eight years—an issue that could meet resistance from hardline Brexiteers when the UK government seeks parliamentary agreement for the deal, especially given the current government’s slim majority. A second controversy relates to the type of residence rights on offer, notably whether nationals should only be allowed to remain in their current country of residence, or retain full free movement on the same terms as at present. The UK proposal would grant “settled status” to EU nationals in the country, putting them at risk of losing their status if they move elsewhere, including back to their country of origin. And the European Union has argued that UK nationals living abroad should only have the right to stay in their current country of residence, and not be granted further free-movement rights. Two interest groups, British in Europe and The3Million, argue that a deal should go further, preserving the free-movement rights for these populations as they currently exist. In the December 8 deal, the United Kingdom offered a “right to return” within five years for EU-national residents. However, the deal did not address further free-movement rights of UK nationals in the European Union—an omission that was heavily criticized by interest groups, such as British in Europe. Against the backdrop of uncertainty, early evidence suggests that rising numbers of British nationals, through family ties or residence, are taking up citizenship in other European countries. This points to an emerging division between those who will come out of Brexit with some level of free-movement rights preserved, and those who will lose them entirely, potentially creating a sense of unfairness among the latter group. For example, many young people—a group that overwhelmingly voted against Brexit—have not had the chance to exercise their free-movement rights. Brexit will fundamentally change what UK citizenship offers, the implications of which are not yet fully understood. Regardless of whether the deal on citizens’ rights sticks, it looks likely that Brexit will bring about significant challenges for individuals and the systems that must process their future residence and citizenship claims. Most European immigration enforcement systems were not built to handle large-scale residence applications. The task facing the United Kingdom, in particular, is colossal. In response to concerns about the capacity of its permanent residence processing system for EU nationals (notorious for being complicated and having high failure rates), the government has promised a “streamlined, user-friendly, digital application process.” But countries such as Spain, where more than 300,000 UK nationals live (including many retired or seasonal residents who may have less robust documentation to support their residence claims), may also struggle to process residence applications. From the perspective of individuals, anyone who has lived in a country for less than five years will be vulnerable to losing their residency status. The United Kingdom has offered temporary status for EU nationals residing in the country on the specified cut-off date, yet to be determined, with the option of staying in the country for five years and receiving settled status. (How this will work in other countries remains unclear.) Other groups who may be vulnerable include those who have not kept full documentation of their addresses, those who have moved back and forth on a seasonal basis, or those who have not been continuously employed. Though the deal calls for transparent, smooth, and streamlined processes across the European Union, other Member States have yet to set out their plans for the processing stage. As is often the case, the devil will be in the details. In particular, country-level decisions on the threshold for proving continued legal residence and the type of documentary evidence required could make the process difficult—and ultimately determine how many people will be able to stay. While the question of citizens’ rights has become something of a political football, it is already affecting the lives and livelihoods of mobile citizens. The information and advice systems responsible for Brits in the European Union and EU citizens in the United Kingdom, from embassies to local expat offices, have adopted a “wait and see” approach as they are unable to provide clear advice while negotiations are still underway. This has contributed to the sense of uncertainty and confusion among these populations. Meanwhile, insecurity is already affecting migration flows: For instance, the number of EU-national nurses and midwives who left their UK jobs surged 67 percent from September 2016 to September 2017. And immigration fell by more than 100,000, to 230,000 arrivals in the year after the Brexit vote. Separately from Brexit, the United Kingdom has increased deportations of EU nationals ineligible to remain in the country as part of the government’s “hostile environment” policy—a step that has not eased EU nationals’ anxieties. Looking ahead to 2018 and beyond, unintended consequences seem likely to emerge, the exact shape and scale of which remain to be seen. These might include an increase in fraudulent marriages, considerable processing backlogs, and a spike in appeals and legal claims. Perhaps most importantly, the number of people in legal limbo or unauthorized status is likely to proliferate—whether or not the deal endures. Benton, Meghan. 2017. Safe or Sorry? Prospects for Britons in the European Union after Brexit. Washington, DC: Migration Policy Institute. Available online. British in Europe and the3million. 2017. Citizens’ Rights: The Road to a Satisfactory Comprehensive Agreement. Accessed November 21, 2017. Available online. European Commission and UK government. 2017. Joint Report from the Negotiators of the European Union and the United Kingdom Government on Progress during Phase 1 of Negotiations Under Article 50 TEU on the United Kingdom's Orderly Withdrawal from the European Union. TF50 (2017) 19 – Commission to EU 27. Available online. Townsend, Mark. 2017. Brussels Investigates UK Over Deported EU Citizens. The Guardian, September 30, 2017. Available online. Travis, Alan. 2017. Net Migration to UK Shows Largest Annual Fall since Records Began. The Guardian, November 30, 2017. Available online. Triggle, Nick. 2017. EU Nurses ‘Turning Their Backs on UK.’ BBC News, November 2, 2017. Available online. United Kingdom Home Office and Department for Exiting the European Union (DExEU). 2017. Technical Note: Citizens’ Rights – Administrative Procedures in the UK. London: UK Home Office and DExEU. Available online. ---. 2017. Joint Technical Note on the Comparison of EU-UK Positions on Citizens’ Rights. London: UK Home Office and DExEU. Available online.